Carefully and strategically employed security camera systems can help protect your property and your loved ones. It is a wise choice to invest in the safety and protection of your family and assets with a security camera system. If you are opting for a wired security camera system, an important aspect of your installation is your cabling. Yes, you want everything connected properly, but you also want to protect your wires and cables. If potential criminals can access your wires, they can easily cut them and disable your system. Don’t be a victim – protect your security camera system with these tips. An easy way to keep your wires hidden is to install them close and tight to the baseboards or where the wall meets the ceiling. Once you get the wires as flush to the surfaces as possible, use the same color paint to camouflage your wires. While they are still vulnerable, they are harder to spot. Running the wire behind the baseboard is a relatively simple procedure that offers more protection. Start by gently removing the baseboard so as to not damage it if you will be using it again. Then, press the wire into the gap between the wall and floor. You may use a putty knife to ensure that the wires are as far back as they can go to avoid getting caught by the edge of the baseboards. Once they are in place, you may return the baseboards. The downside is that you will have to remove the baseboards again if there is some sort of electrical malfunction requiring you to access your cables. Running your wiring through plastic tubes through your wall is likely the best protection for your wiring, but also the most intrusive. This method not only hides your cables, but also protects it from the elements, rodents, and insects. If you decide to go this route, it’s best to get assistance from professionals. 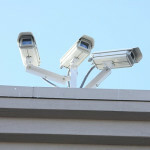 At SecurityCamExpert.com, we offer installation services and cable runs at competitive prices for your convenience. Contact us for a free quote or to schedule an appointment today. To avoid wires and cables all together, you can opt for a wireless security camera system. We offer a great selection affordable wireless security cameras and surveillance equipment. Feel free to visit us online or call 1-888-203-6294 for more information. Do you have any other tips to share? Connect with us on Facebook, Google+, Twitter, and Pinterest. Security cameras systemsare an effective way to secure you home and property. They provide a sense of security by scaring potential burglars away or producing evidence to capture criminals. Unfortunately, assumed high costs and complicated installation of security camera systems often discourage people from employing them. 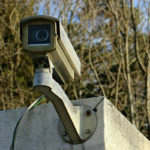 As an alternative, a new wave of convenient, cost-effective multi-purpose surveillance cameras are hitting the market. These offer a budget-friendly option, making it easier for individuals and families to implement security camera systems within their homes. Thanks to a Kickstarter campaign, the next big thing may be Blink, an inexpensive wireless security camera boasting unbelievable features. Aside from its affordability, Blink is wireless, powered by a battery promising over a year of battery life. The device will even send a reminder alert when power is finally low. Thanks to these features, Blink is very low maintenance and can easily be transferred from different locations. Blink is also equipped with HD video, motion detection, temperature sensor, night vision, and a built in microphone. The smart phone app instantly alerts you of motion, changes in temperature, and WiFi connection as well as live viewing of your camera feed. Over time and with the proper resources, Blink could possibly more forward into the home automation realm. Future advancements are not out of the question, but as a new product, there are bound to be downfalls. An issue to address is protection. 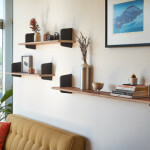 Blink can be mounted easily to a wall or placed on a shelf, but it lacks safeguards for tampering. Once spotted, a person can damage or destroy it. Also, Blink is only suited for indoor use, but an outdoor option may be available in the future. Currently, Blink has exceeded its pledge goal of $200,000, proving that the demand for convenience, affordability and security is high. To some skeptics, however, all of these features rolled into one device may be too good to be true. What do you think? 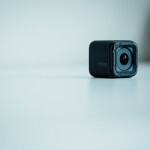 Will Blink live up to the hype and become the new security camera craze? We want to hear from you – find us on Twitter, Facebook, Google+ or Pinterest. If you’re looking for a more traditional security camera system or more specialized or specific features, visit us online at SecurityCamExpert.com. Feel free to give us a call at 1-888-203-6294 with any questions or to place an order. When it comes to security systems, there are many options to consider. How many security cameras do you need? Which type of security cameras do you need? How much memory will you need for the DVR? The questions can go on and on. An important decision comes down to choosing a wired or wireless security camera system. While both have their own benefits and downfalls, it all depends on your needs and the environment you’ll be surveying. First, it is important to evaluate your environment. Will you be monitoring your home or an office? Which areas are of concern to you? Answering these questions beforehand will give you a better idea of what you really need, simplifying the buying process. Regardless of what you are shopping for, knowing your budget and sticking to it is important. How much can you spend and how much are you willing to spend? In combination with your needs, this can determine whether or not you go wired or wireless. For wired security camera systems, everything is physically connected. While this provides a fairly secure connection, a simple cutting of the wires can disable the entire system. Luckily, most wired security systems may sound an alarm when wires are cut. Also, most people opt to hide wiring behind walls or underground for appearance purposes as well as security system protection. Depending on how you see it, having to plug into a power source can be either a blessing or a curse. Your system will always be connected, but power outages may pose a problem. For wireless security camera systems, wireless transmission makes for an easier set up and installation. Eliminating the need for wiring and cabling can save some money also. The wireless aspect does, however, leave the security system open to interference from other wireless systems, either triggering false alarms or compromising the system overall. Still, on the other hand, wireless security camera systems are much more convenient for relocating than wired security camera systems. It is also best to know that since wireless systems are based on wireless transmissions, signals may not reach as far. Wired security camera systems can be adjusted with different cable lengths. Thus, for larger homes, a wired security system may be better suited. Likewise, wireless security systems may work better is smaller spaces. As discussed, both wired and wireless systems have their advantages and disadvantages. Be sure to examine your needs, budget and which aspects work for you. At SecurityCamExpert.com, you’ll find both wired and wireless security camera systems. If you have questions or need further assistance, please contact us at 1-888-203-6294. Our staff is knowledgeable and happy to help.